According to the Arthritis Foundation, arthritis is the leading cause of disability in the United States. The foundation says that over 50 million Americans have been diagnosed with some type of arthritis or related rheumatoid disorders. Some arthritis can be so crippling that it affects a person’s daily living activities, especially their ability to work and support themselves and their family. The Arthritis Foundation claims that nearly 172 million work hours are lost annually due to complications from arthritis and other rheumatoid disorders. Such loss of work capability adds a financial strain to the physical and emotional hardship arthritis sufferers endure. If you have been diagnosed with arthritis and it is affecting your ability to work, you could be eligible to receive Social Security Disability benefits if you meet certain criteria. “Arthritis” is a common term but can be difficult to define and to understand because there are over 100 different types of arthritis and related conditions. However, the term is typically used in reference to problems with joint pain and joint disease. Those who suffer from the joint pain also experience stiffness, swelling, and decreasing range of motion in their joints. Arthritis can get progressively worse and can lead to issues with chronic pain, difficulties with mobility, and interference with daily living activities. The two most common types of arthritis are osteoarthritis and rheumatoid arthritis. Osteoarthritis is the most diagnosed type of arthritis. It is a degenerative joint disease that affects the neck, lower back, hips, knees, or hands of sufferers. Over time the cartilage between the affected joints wears down causing the bones to rub together and results in extensive pain and possible immobility. Rheumatoid arthritis is an autoimmune inflammatory disease that typically affects a sufferer’s shoulders, elbows, wrists, or fingers as well as knees, feet, ankles, or toes. Autoimmune diseases are known for producing enzymes that attack the healthy tissues of the body. In the case of those with rheumatoid arthritis, the enzymes attack the healthy tissues lining the joints. This causes pain, swelling, and decreased function in the affected joints. Determine if the claimant is working at or above the Substantial Gainful Activity (SGA) level as defined by the SSA in the year they file. The SGA level for 2017 is a monthly income of $1170. Determine if the claimant’s issues with their type of arthritis significantly limit their ability to perform basic work activities such as sitting or standing, reaching, pulling or pushing, lifting or carrying, and simple cognitive reasoning. Determine if the claimant still has the capability to do any work they may have done in the past regardless of the difficulties involving their type of arthritis. Determine if the claimant is able to do any other type of work based on their age, education, prior work experience, and/or mental and physical capabilities. Because there are so many types of arthritis and each individual is affected differently by the type of arthritis they have, getting SSA officials to understand your limitations and need for benefits can be difficult. 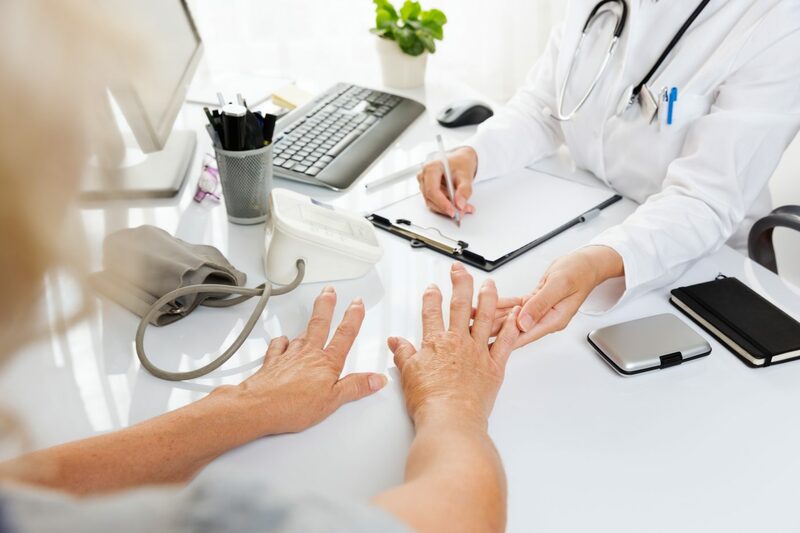 It is important that you have detailed and sufficient medical records and other documents that chronicle your difficulties with arthritis and its affect on your work capability. This can be a daunting task if done on your own, but an experienced Social Security Disability lawyer can help you get the information you need and help present it to the SSA. If you suffer from arthritis that affects your work capability, contact one of our experienced attorneys today for a free evaluation of your case. Let us see if we can help you get the assistance you need.